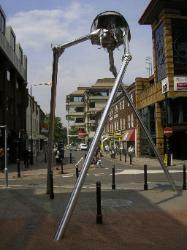 a “seven-metre-tall silver Martian striding down a street in Woking”. has been designed following the descriptions of Martians in H.G. 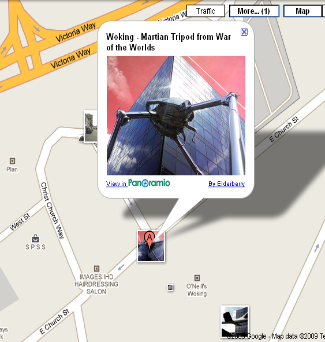 alien invasion at or near Woking. 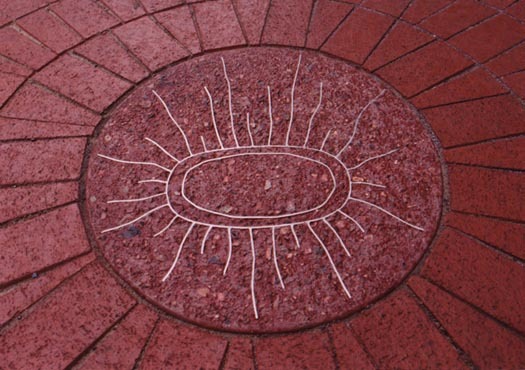 different slabs, with inlaid metal designs, embedded in the pavement. 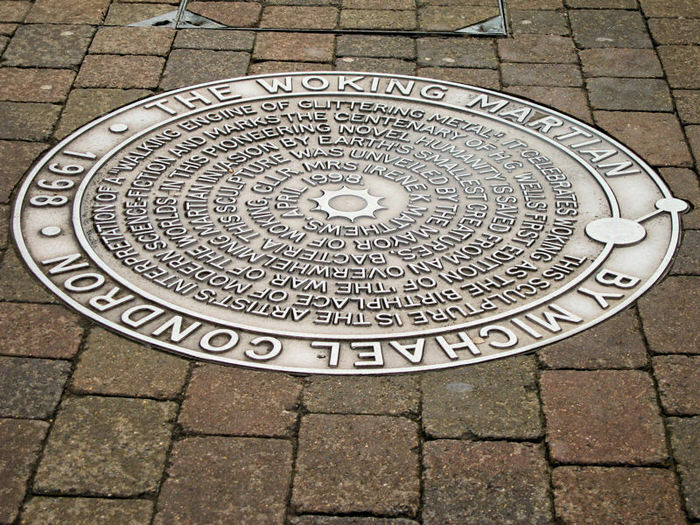 in Woking, England, the birthplace of H. G. Wells. 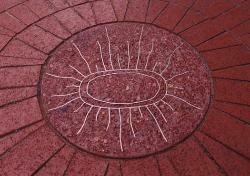 to take over the earth, is carved on a stone as part of the monument. believed they were listening to a real news report of a Martian invasion. 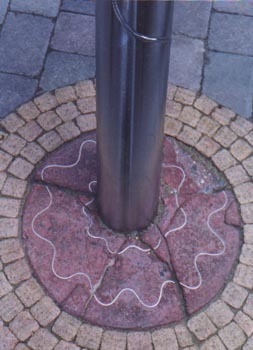 town of Concrete was known worldwide. (and subsequent interruption) of the music as being 'inside' the narrative. Seattle CBS affiliate stations KIRO and KVI broadcast Orson Welles' radio drama. 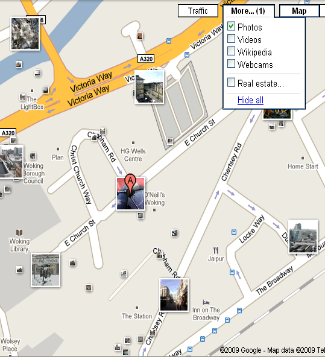 have jumped up out of his chair and, in bare feet, run two miles to the center of town. for the gas "[wouldn't] make any difference, everyone is going to die!" 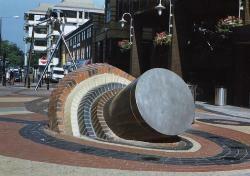 at the Woking site of the Martian Walking Engine. you may find of interest. 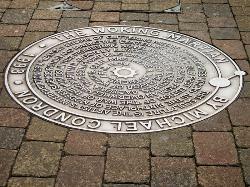 they landed in Woking, in the UK. Who knew? must be a mosaic of one of the bacteria released by the Martians when they attacked. by Orson Welles and it scared the bejebers out of a lot of people. the landowner. I have already forgot what King started the process. Surrey, England. Bacteria caused the demise of the Martians. 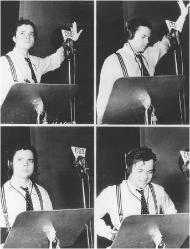 October 30, 1938 and aired over the Columbia Broadcasting System radio network. novel The War of the Worlds. in response to the broadcast, the precise extent of listener response has been debated. 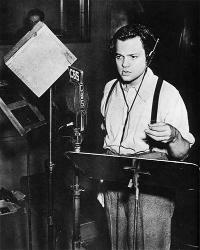 the episode launched Orson Welles to fame. Mr. Rick and Quiz Angel Jina Yi - Welcome back Jina - Drop in again sometime! Performed on radio the H.G. Wells "War of the World,"
Causing confusion and fear to more than a few. That reeked devastation in every direction. Portrayed as "The Thing on the Ground,"
Located in South East England, where it was found. But germs did them in. Thanks to long time Quizmaster Stan Read for suggesting this quiz. Halloween Quiz #2 of 2. What do these have to do with Halloween? reassured by hearing their tones on a neighboring station. though with embarrassment. KTSA, as a CBS affiliate, had carried the broadcast. suddenly descend on the scene and start attacking its inhabitants. 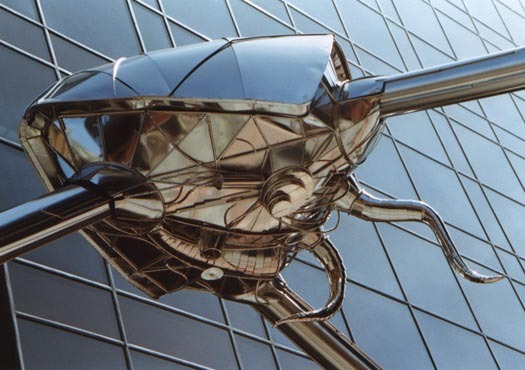 Much of the The War of the Worlds takes place around Woking and nearby suburbs. 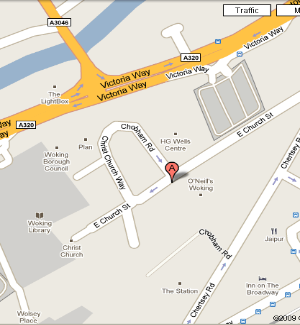 also based on acquaintances in Woking and Surrey. 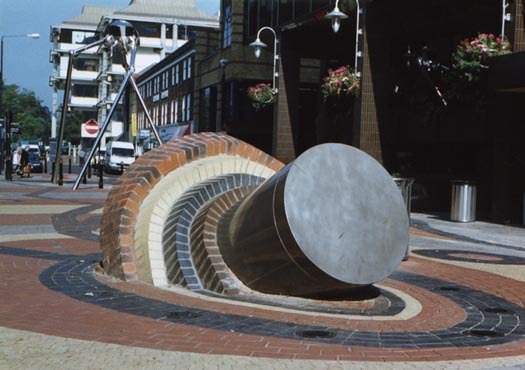 Crown Passage, close to the local railway station, in Woking. 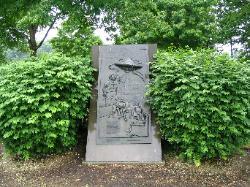 The War of the Worlds by H. G.
confidence in man's worst instincts. here, the drama even lamer.